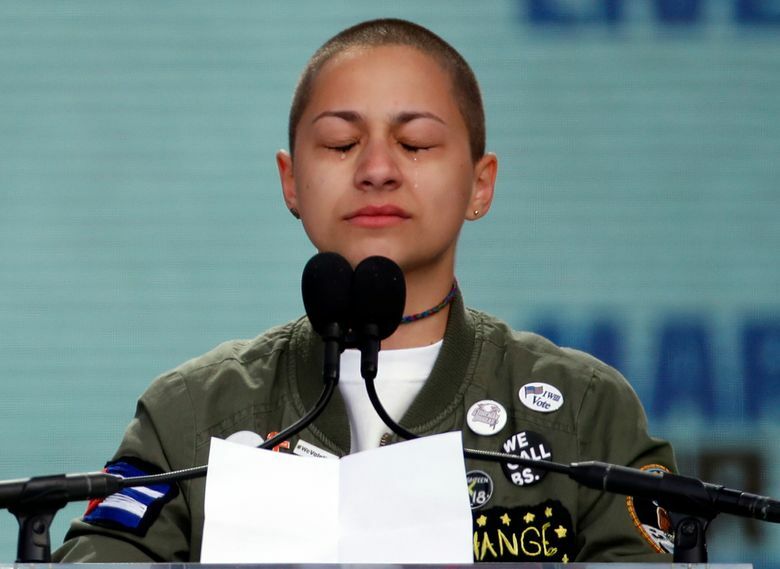 Chin high and tears streaming, Florida school shooting survivor Emma Gonzalez stood silent in front of thousands gathered for the “March for Our Lives” rally in Washington, D.C.
She continued to stand silently as a few crowd members shouted out support. She remained silent as tentative chants broke out. Her silence continued as those attending also fell quiet, many weeping. The gripping moment stretched for 6 minutes and 20 seconds, the amount of time Gonzalez said it took a shooter to kill 17 people and wound 15 others at Marjory Stoneman Douglas High School in Parkland, Florida, last month. 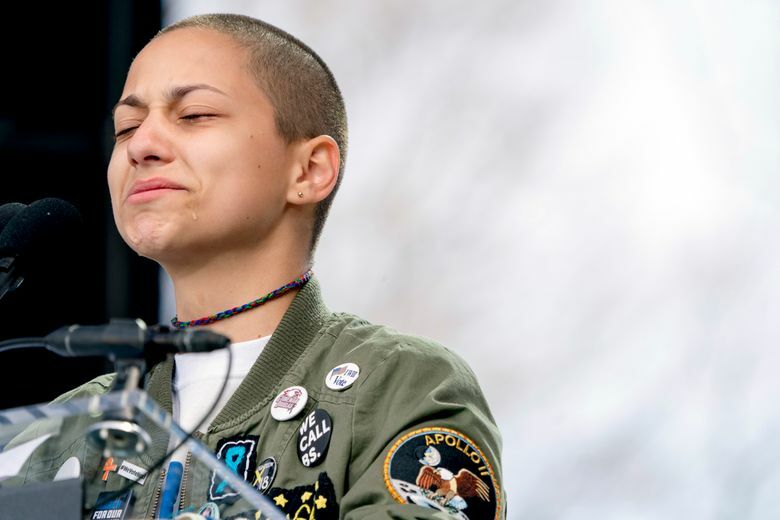 “Everyone who has been touched by the cold grip of gun violence understands,” Gonzalez told the hushed crowd, describing the long hours spent waiting for authorities to identify their slain classmates, the horror of discovering many of them had breathed their last breaths before many students even knew a “code red” alert — designed to warn staffers and students of a potential threat — had been called. Gonzalez went on, listing name after name of those killed at the school on Feb. 14. And then she stopped, her breath heaving but remaining composed, looking straight ahead and silent. Seemingly unsure what to do, the crowd waited. Some appeared to catch her intent right away, watching with hands covering mouths, foreheads wrinkled and tears falling. 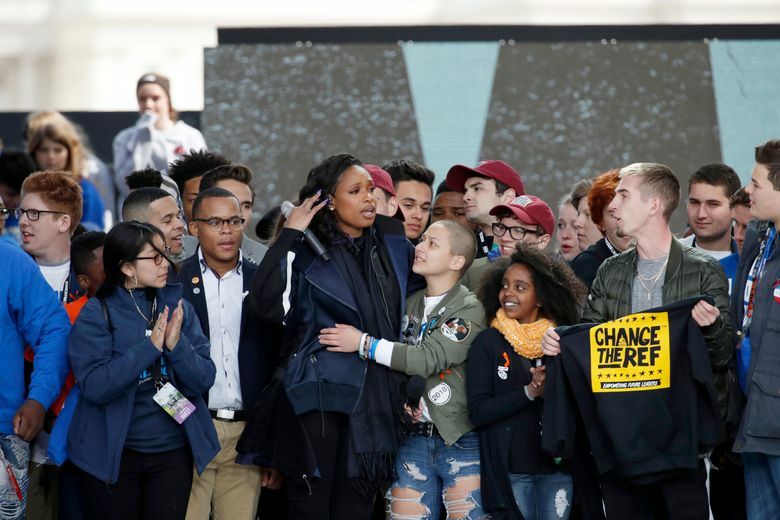 Chants of “never again” broke out for a time, and later someone came out from the wings of the stage to put a hand on her shoulder and whisper in her ear. The silence by now had spread to the thousands thronging Pennsylvania Avenue. Protesters, parents, television news crews waited to see what Gonzalez would do next. The beeping of a digital alarm broke the silence. Gonzalez is one of several teens from the school to become gun control activists in the wake of the shooting. 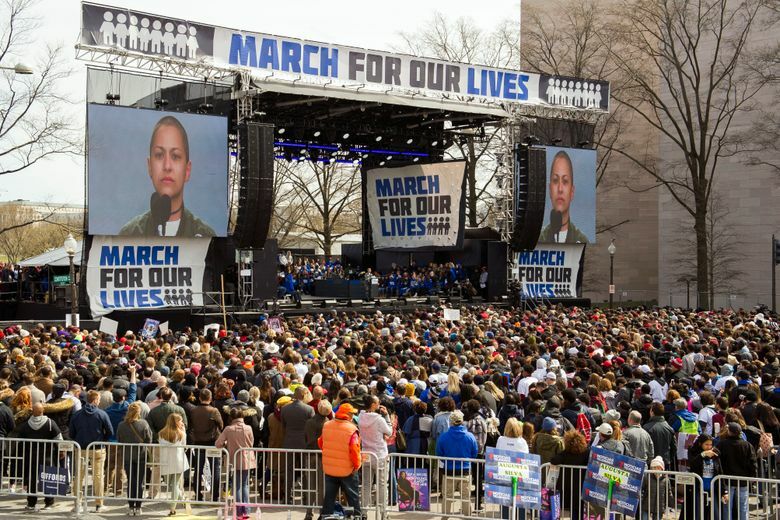 Their efforts have galvanized youth nationwide, with hundreds of thousands attending similar rallies across the country.